Dashboards and reporting are both important tools for agile management and better decision-making. A solution designed specifically around your business will help drive continuous improvement programs and boost competitiveness. Intelligent dashboards are a powerful way of gaining enterprise-wide visibility, accessing relevant information across multiple operations and processes. 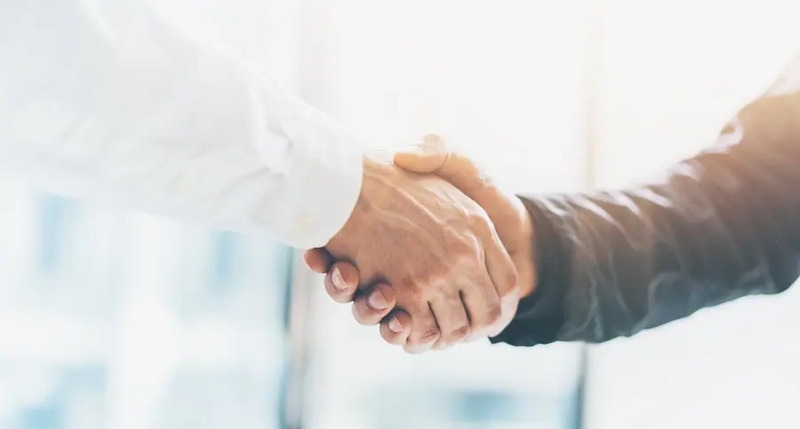 With a collaborative approach, Astec seeks to identify the individual business priorities and nuances to create dynamic, focused dashboards with the KPIs and data sets specific to each business function. 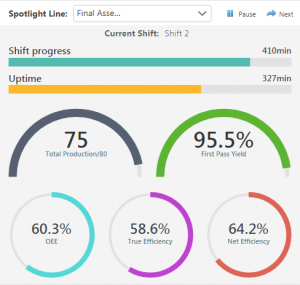 Our dashboards promote efficient working by saving valuable time that would otherwise be wasted sifting through large volumes of insignificant data, or liaising back and forth between departments. 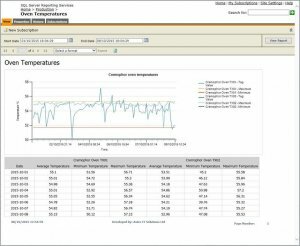 Operational issues can be detected immediately and problematic trends can be identified in advance for preventative maintenance – all on the move, and from a variety of devices. In addition to the constant flow of real-time data from assets displayed on dashboards are a range of reporting solutions. Reporting is focused on static data which has been organised to highlight specific areas of interest. Differing from dashboards, they are typically issued periodically to senior management and/or shareholders, and are therefore historical. An effective reporting tool presents information in an easily understood format so contextual data can be considered. The data can be cleansed and sorted in advance before being used in the report to clearly demonstrate broader scope, high-level insights. Astec’s supportable, off-the-shelf software solutions can provide complete genealogy and traceability of the ingredient supply, warehousing, manufacturing, shipping and consumer delivery chain so they can be tracked and recorded to ensure health and safety regulatory compliance to the highest standard. 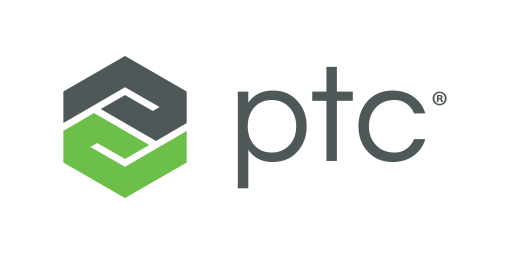 Astec has partnered with leading IoT technology provider PTC to offer a new range of dashboard and reporting solutions, including augmented reality software. Thingworx delivers an end-to-end IoT technology stack that enables rapid development of applications and role-based dashboards, backed up by predictive analytics and machine learning capabilities. 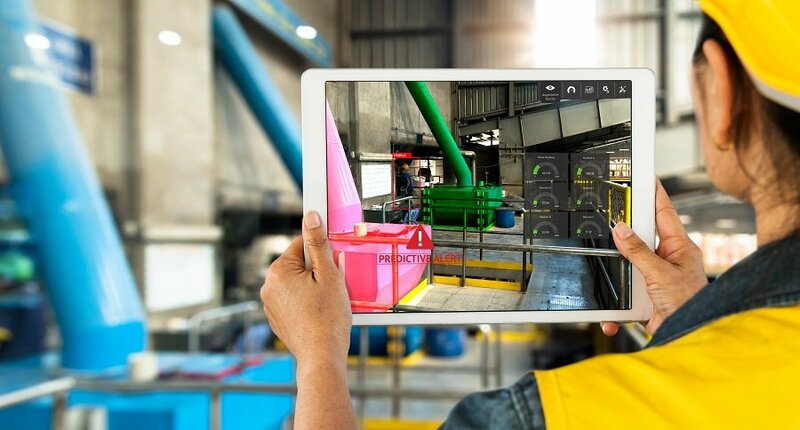 Augmented reality (AR) provides some of the most exciting and game-changing possibilities in manufacturing today. With AR, organisations can improve service efficiency with step-by-step instructions, customer service with easier self-help guides, sales with virtual product demos and showrooms, and factory efficiency with augmented process plans and inspection processes. AR increases first-time quality by 90% as well as heighten productivity by around 30%. Thingworx Application Enablesment Platform enables rapid creating of collaborative applications, UI, analytics and dashboards using rule-based process orchestrations. These result in high levels of efficiency and reuse. Digital simulation replicates behaviour of physical products in the digital world, quickly generating intelligence and insights that can impact service, operations and product improvement.